A very important part of having a successful chef career is having a good interview. You may have great practical skills but this is not the only area you will need to focus on to achieve the best career you can. Here are essential Commis Chef And Chef de partie Job Application Tips. The first step – is the application for a job, filling an application form in correctly is very important and is your first point of contact to an employer. The second step – is the formal interview. This will be where you are asked a number of questions and the interviewer will get a good look at you. Practising your interview technique and answering example questions will help you to be well prepared. The third step – in a chef interview will be the trade test or working interview. This can also be known as a stage. The working interview can take place in four main ways. You need to be prepared for each way will be essential to gain the job you are hoping to achieve. All of these areas are essential to achieving the best job possible and getting ahead of the competition. 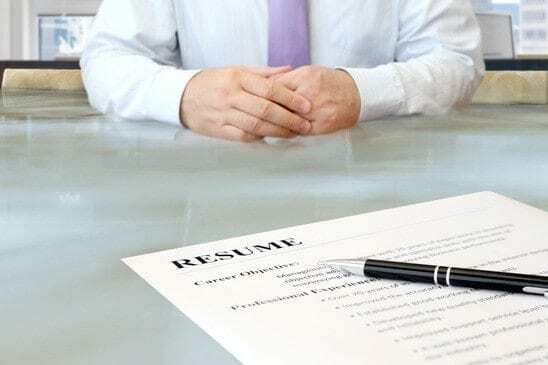 Common mistakes can include a messy application form, not being confident in an interview. Also, the candidate can have bad interview etiquette as a result. Being prepared for each area of the application process is crucial to your success as a professional chef. Filling an application form out may seem like an easy area to complete. However, mistakes do happen and doing things properly is key. Imagine a head chef is busy working and he comes across your application form or cv and it is messy and has mistakes. Do you think he will call you back? Or just move onto the next application form or CV. When completing your job application it needs to be concise and relevant, with all areas of the form filled in correctly. Before you begin filling in any answers make sure you have read the form completely from front to back. Furthermore, have a clear understanding of where you need to complete questions. There maybe guidance notes for the completion of your application form. A guidance note may ask for the use of black ink only, if you use blue ink your application may not proceed any further. All of the fields on the application form will need to be completed. If there is any question that is not relevant to you then adding an N/A is acceptable, this means Non-Applicable. And always remember to give relevant answers for instance if the person specification asks for a team player then give evidence of where you have been part of a team. Once your form is completed have it proofread by a friend or family member who could spot mistakes you have made, proofreading is an essential step as we can not pick up all of the mistakes we make. Keep a copy of your application and send it by first class post (recorded delivery) or send it online if using an online application process. On a successful application process, you will hear from the employer and be invited in for a formal interview, the key to a successful interview is being prepared and practising your interview technique. This can be done by answering sample interview questions and practising with interview role plays. These are my Commis Chef And Chef de partie Job Application Tips. By using my Commis Chef And Chef de partie Job Application Tips you will be well on your way to an interview. A method for answering tricky interview questions is known as the STAR method. The S.T.A.R. method is an effective technique for answering difficult interview questions. Also, this method will help you to structure a positive answer to this form of interview questions. Always keep yourself calm and make sure you execute any tests or working positions in the most professional way possible. Show your teamwork skills, if you have cleaned down your sections ask other members of the team if they need any help, be nice and smile. A professional kitchen is based on teamwork, so try and be a part of the team straight away and be professional. Be confident to make a connection with the team and offer help wherever possible, take notes and make sure you understand everything that is being asked from you. Take any feedback from the team about your working trial on board well and be positive. Consequently, If it doesn’t work out the first time persevere because eventually, it will.